We had C&S over for brunch this morning. J-lo and I are celebrating our 7th anniversary this weekend. So what better way than brunch and mimosas! All the food (except the fruit--strawberries and pineapple, not us) came from the oven. And there was a first for me. 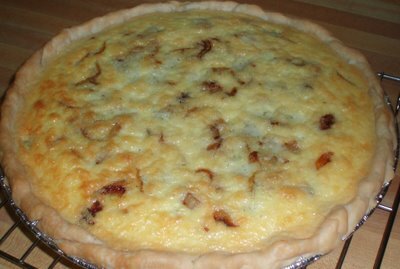 I'd never made a quiche before! So today, we had quiche. Whip the eggs and cream together. Season with salt/pepper. Set aside. 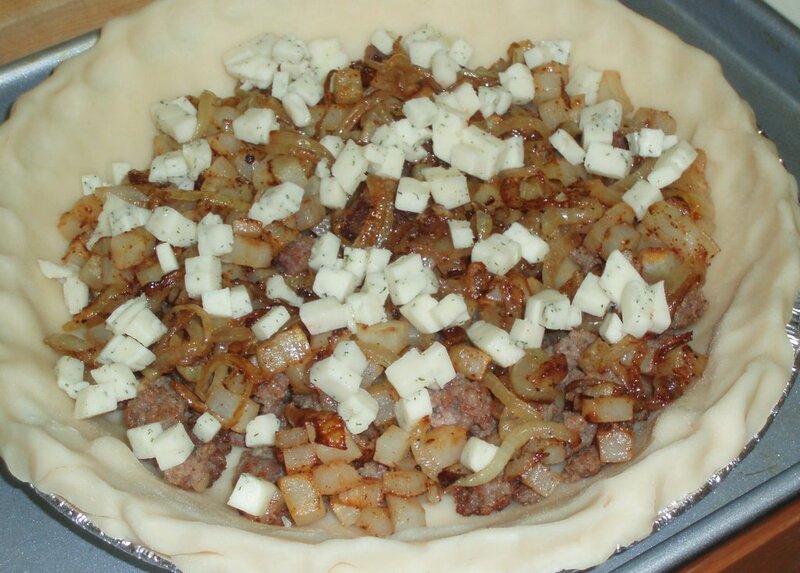 Fill the Pie Crust with the sausage, potatoes, onions and harvarti. Gently pour the egg mixture into the pie shell. Softly wiggle the pan to let the egg settle. Bake the quiche for about 40 minutes, give or take. You want a little wiggle in the center. Remove from the oven and allow to rest for 5-10 minutes, slice and serve! Mmmm! A tremendous quiche for his first one! I lvoe quiches, because you just decide what to throw in, add eggs, and bake. Congrats on the anniversary. So bizaare our parallel lives and J and I celebrated our 7th the weekend before Thanksgiving.